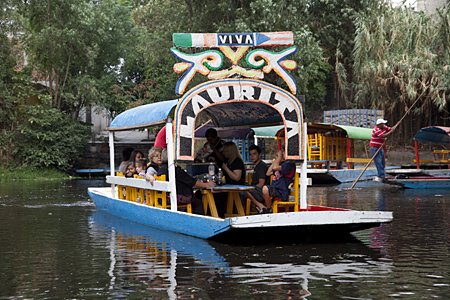 Floating through ancient canals in a colorful gondola or trajinera might not be what you would immediately associate with Mexico City, one of the largest cities in the world. 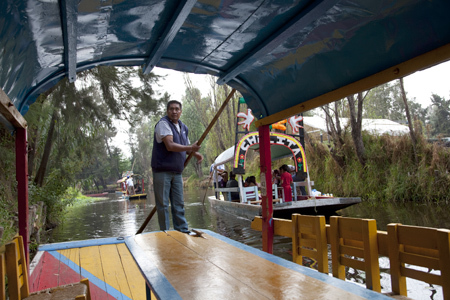 The ancient canals of Xochimilco, a UNESCO World Heritage Site in the far south of Mexico City, were built in pre-Hispanic times by the Aztecs who created floating flower and vegetable gardens. Today Xochimilco is a popular place, particularly on Sundays, for Mexican families and tourists to rent a boat and cruise the canals. Many of Mexico City's flowers are still grown here. 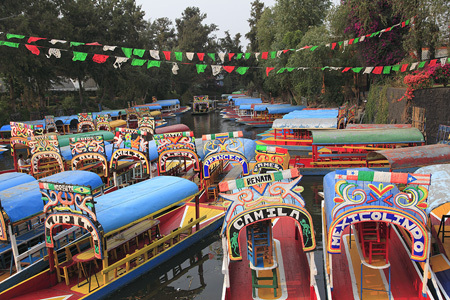 Trajineras lack noisy engines and are instead propelled by a boatman pushing a large pole into the shallow waters of the canals. 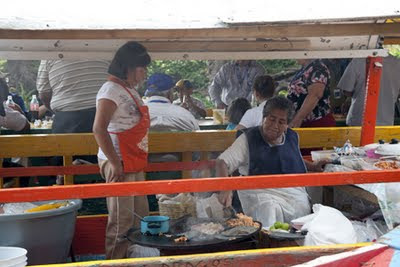 Each bears the name of a woman, are equipped with chairs and tables and are well suited for large groups, who often bring food and drink or buy it from floating vendors who cook on the spot. Floating mariachi bands are also available for hire. Despite being a UNESCO World Heritage Site Xochimilco is not over run with tour groups much to my surprise. To get there from the city center take the number two metro (blue line) to Taxquena station where you can catch the light train (tren ligero) to the end of the line, the Xochimilco stop. The trip takes about one and a half hours. The cost per hour to rent a boat is about $15 depending on its size. It’s also worth taking a walk around the town itself, which has a large market with a large variety of produce, food stalls, everyday items and anything else you may need. These look amazing! Wish I had known about them when I went to Mexico City. Granted, my visit was so short and there's so much to see there. Thanks to your post, Wendy, I'm adding this to my list for next time I'm in D.F. i have seen this on travel shows a lot. it must be amazing to be there and enjoy it. Anja, I love DF. It has so much to offer. 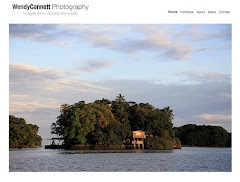 Andrew, It's a great place for photography. Photo Cache, I'm was very surprised that there weren't a ton of foreign tourists despite that it's been on travel shows etc. Yeah, totally amazing and the colour! Mexico has to be the most vibrant place on Earth! Lakshmi and Lynne, I love the colors of Mexico.